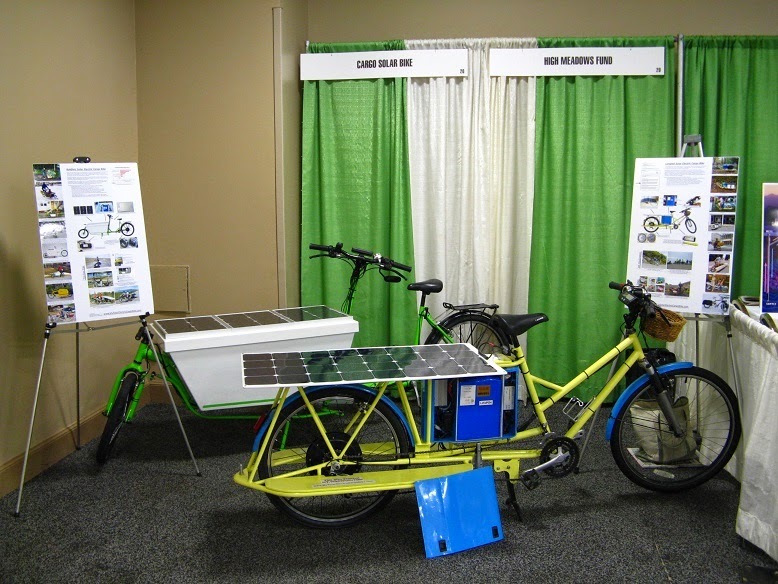 An essential aspect of VBike's work and role is to conduct research and product testing of bike designs, technologies and accessories that are potential solutions specific to the terrain, climate and road conditions in Vermont. We do this so that we can confidently make recommendations to you concerning what might work to meet your bicycle transportation needs. We also share our findings from this work with Vermont bike shops to help spread the knowledge around. Lighting is so important! 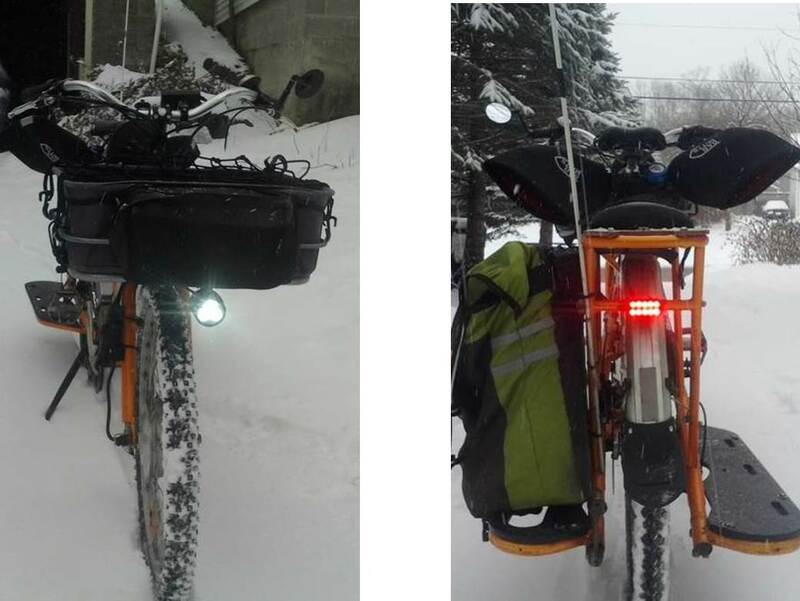 We outfitted this bike for less $100, yet the front light is 1000 lumens (almost a bright as a car light) and the rear light is visable from a 1/2 mile away. The lights run through the bikes main battery. Handmade bike by Rob English. dubbed the "No-Car-Kitty-Cargo." It features a belt drive (no chain) and a mid-drive motor system. 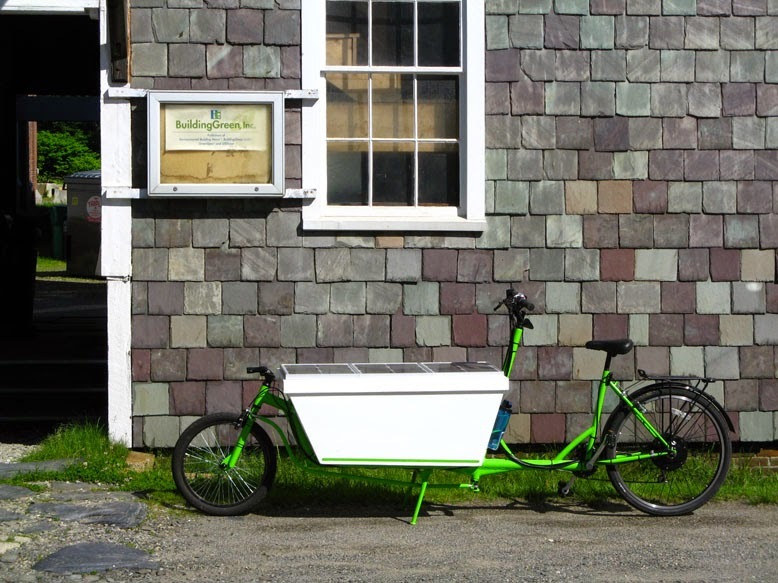 Our very own Karl Kemnitzer, of Hartland, is a dedicated cargobike builder and e-assist expert. He has shown his handmade longtail and Long John cargobikes all around Vermont. Many of his bikes include solar panels! His research and experience is vitally important to VBike. 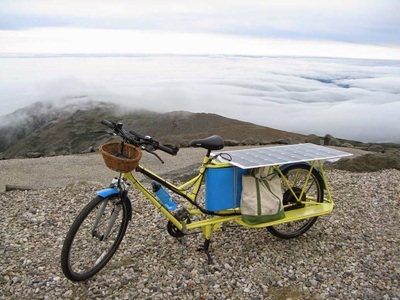 Check him out on http://mysolarelectriccargobike.blogspot.com/. Karl rode to the top of Mt Washington!